This year Lorraine and Gemma attended the In-Cosmetics Global 2018 exhibition in Amsterdam. In-Cosmetics is now in its 27th year and is billed as the leading event for personal care ingredients. The exhibition aims to bring together ingredients suppliers with product manufacturers with a focus on networking and building relationships. With around 780 exhibitors and 9000 visitors, to say that In-Cosmetics was jam-packed, busy and a tad overwhelming at times would be an understatement. However, the weather in Amsterdam was glorious, Lorraine and Gemma got to hang out and speak to loads of people in the industry and most importantly we got to see our students and graduates and hear what they had to say about their experiences at In-Cosmetics. 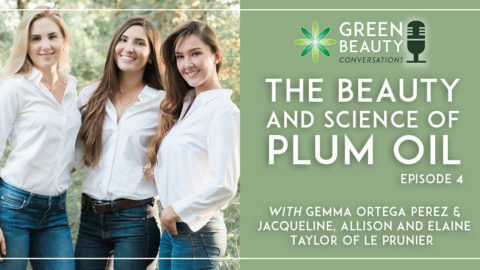 The event is typically dominated by the mainstream cosmetics industry with little focus on the green and natural beauty movement, but we were pleasantly surprised at what we learnt during our two days at In-Cosmetics. 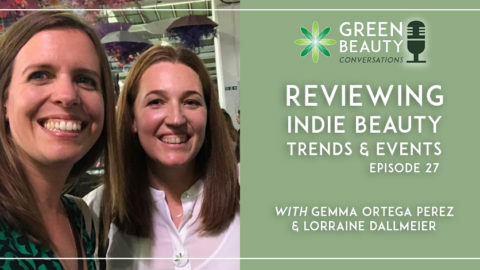 Lorraine came up with the idea of creating a trend report summarising what we saw at the In-Cosmetics exhibition and how these trends tie into what we are doing with the green beauty industry so obviously Gemma thought ‘let’s do a podcast about it’. 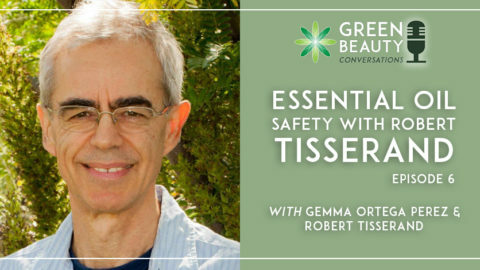 In this podcast you will learn about the top ten trends that we saw at In-Cosmetics Global exhibition. 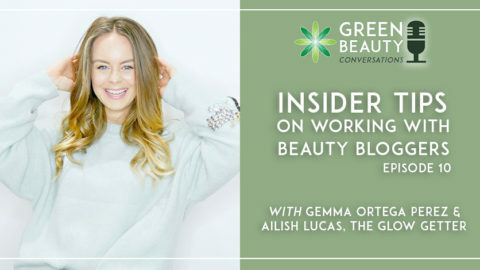 Lorraine & Gemma’s top 10 beauty trends for 2018 (and beyond), based on what’s happening in the mainstream cosmetics industry, as well as our discussions with Mintel. 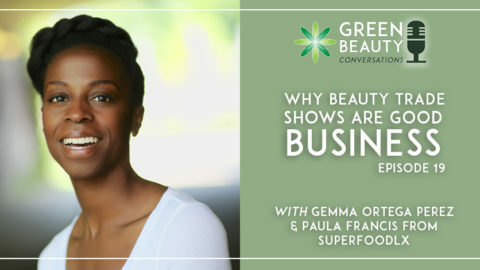 How indie beauty brands can use this information to storm ahead in the industry by making their formulations with natural ingredients while still hitting all the latest trends. 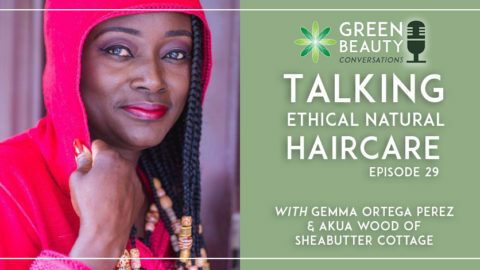 Our thoughts on In-Cosmetics Global 2018 in Amsterdam and why you should attend, if you’re interested in where the green beauty industry is headed. The Unicorn trend is influencing ingredients suppliers to design ingredients that work for people wanting to formulate with glittery, sparkly and holographic style products. Gels are becoming a massive formulation trend. There were so many different sorts of gels at In-Cosmetics, such as gel emulsions and gel balms. Gels can be hard to make for natural formulators but they are in high demand and were a major trend. Skin yoghurts such as after-sun, cooling and moisturising yoghurts were a massive theme and we saw many examples of interesting and innovative formulations based on the concept of a yoghurt for the skin. The continued search for the elusive, natural, botanical extract: there were loads and loads of botanical extracts around with a key trend being on locally sourced botanical extracts. These were all touted as the new ‘wow’ ingredients and we provide plenty of examples in the podcast. 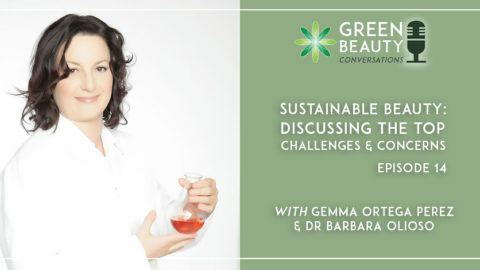 Sustainability and how ingredients suppliers are keen to embrace the concept in their business but in reality, they could not back up their claims of sustainability in a real way. We feel that indie brands are really leading the way in this area. Athleisure is taking off as the cosmetics industry is copying what’s happening in wellness trends. We see a great opportunity to develop some very innovative niches for indie brands using the Athleisure trend. Genderless products and ranges are on the rise and we saw numerous ranges formulating and designing ranges that are not driven by the rigid gender binaries but embrace the concept of gender fluidity. Anti-blue light pollution: the market is developing actives that can cater for anti-blue light pollution and there are some great suppliers who are designing ingredients for this trend which is getting bigger and is here to stay. DIY skincare: Consumers are driving the desire for beauty regimes that can be personalized and put together by the consumer to address unique individual skincare needs. 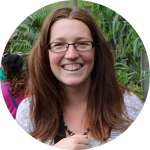 Skin microbiome: This is a hot topic in the industry right now and Mintel had it listed as a key trend. 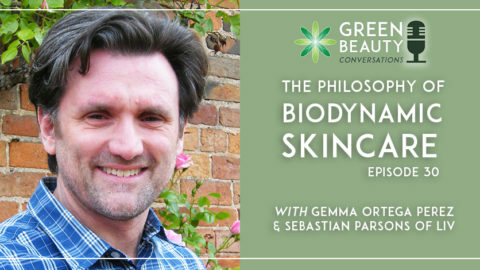 There are brands that are formulating skincare that is sensitive to the skin microbiome. 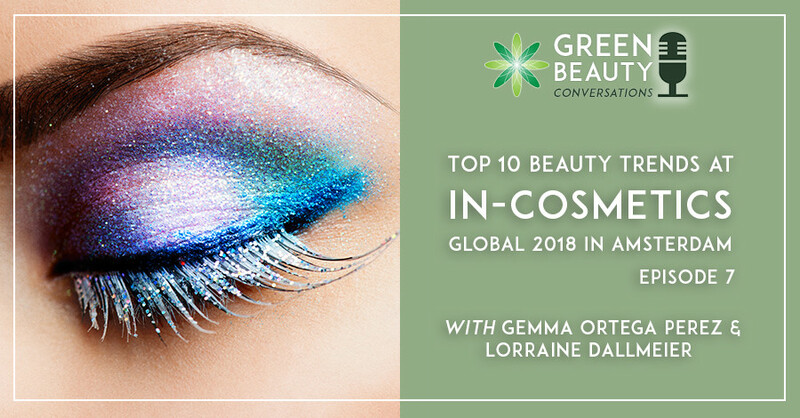 We hope you enjoyed our latest podcast on the top 10 beauty trends for 2018 (and beyond), based on our recent visit to In-Cosmetics Global 2018 in Amsterdam. If you have any feedback or suggestions for us please don’t hesitate to get in contact.